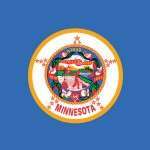 Minnesota Poker – Is Online Poker Legal in Minnesota? Minnesota is more or less a state for live players. Home poker is an option (if you follow the rules we outline), as is casino poker and the bar/restaurant leagues that run throughout the state. Online poker is the only thing not really legal. And I say ‘not really’ because there’s always a loophole, which I’ll tell you about in a second. And it’s no surprise really. In 2012, a gambling survey showed that only 3.6 percent of adults gambled online at some point in their lives. So, why bother legalizing something that the public doesn’t seem to want? But, that’s okay. As you’re about to find out, there’s plenty of other options out there. Fun Fact: – Texas holdem was illegal to play in bars and restaurants until 2005. Social poker games (or home games) are perfectly fine so long as you don’t charge anyone to play. You don’t rake the pot. You don’t charge a tournament entry fee. A game means any game played with cards, dice, equipment, or any mechanical or electronic device or machine for money or other value, whether or not approved by law, and includes, but is not limited to: card and dice games of chance, slot machines, banking or percentage games, video games of chance, sports pools, pari-mutuel betting, and race book. “Game” does not include any private social bet. I would also not sell drinks, food or anything else that nets you a profit. Most states view that as you trying to run a business. One other thing – prizes awarded to an individual cannot exceed $200 per day. Online poker is not mentioned in the state laws. Therefore it’s not permitted, regulated or licensed. In short, online poker is illegal in Minnesota. And the state is somewhat serious about it. In 2009 the state’s Alcohol and Gambling Enforcement Division requested that 11 internet service providers block approximately 200 gambling websites. Granted, it didn’t last long, as they would end up withdrawing their request after being slapped with a lawsuit and some public pressure. But hopefully you get my point. A gambling device is a contrivance the purpose of which is that for a consideration a player is afforded an opportunity to obtain something of value, other than free plays, automatically from the machine or otherwise, the award of which is determined principally by chance, whether or not the contrivance is actually played. “Gambling device” also includes a video game of chance, as defined in subdivision 8. There is a loophole, of course. It is possible to play poker online at an offshore poker site. Just know that they (and most likely you) are doing so illegally. Yes! Live casino poker is an option here in the state. Treasure Island Resort & Casinos – You can play holdem, omaha, hi/lo, and 7-card stud. They run tournaments every Saturday. Star Casino – Play 7-card stud, omaha, holdem and hi/lo variations. Black Bear Casino Resort – You can play holdem. They have several promotions, too, like a 20k bad beat jackpot, no/cheap rake and a royal flush progressive bonus. Fortune Bay – They run tournaments, cash games and high hand specials. And, of course, you’ll find plenty of casino classics, such as blackjack, slots, roulette, craps, etc. Minnesota has an online lottery, too. Experts think we’ll see some form of legislation between 2018-2019. I only think that will happen if Minnesota is tempted to legalize online poker after seeing the progress and revenue the other states make. Otherwise, they’ll be doing the same thing then that they’re doing now.